"This is a victory for all Iraqis, for all the people of the region, and all those that combat terrorism, and all those who are threatened by terrorism day and night," he said in a televised speech, according to the Lebanese Daily Star. "Freeing Mosul is a great victory for Iraq, Syria, and for all countries in the region and the world," Nasrallah added. "There is no doubt that the victory that was announced by Iraq Prime Minister Haider al-Abadi in Mosul is a great victory. Some from the region viewed Daesh as a revolutionary movement of the Arabic Spring, welcomed it, and endorsed it," the Hezbollah leader continued, using the Arabic acronym for ISIS. "Even the countries in the Gulf [Cooperation Council] that endorsed and supported Daesh were pleased because they were eventually threatened," he added, while praising Iraq for having "provided all its necessary support for Baghdad" in the fight against the organization. "Iraqis did not wait for anyone, not the Arab League, nor Arab or regional leaders...not the United States, nor anyone," he said. "They put faith in God, their men, women, and their blood." Nasrallah then blasted United States officials who said that it would "take 10 years to tackle Daesh." "If all the efforts against Daesh were honest, it would not take years to take out Daesh," Nasrallah said. "When the United States said it needs 10 years, they had a plan...it was in the interest of American hegemony and Israel." This is not the first time that Nasrallah has claimed that the United States created ISIS. Last year, the Hezbollah leader quoted then-Republican presidential candidate Donald Trump's statement that President Barack Obama had founded ISIS - and agreed with him. "The American Presidential candidate is saying this. 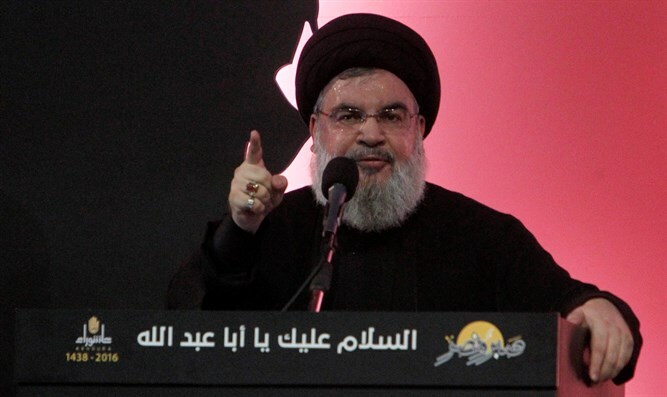 What he says is based on documents and facts," Nasrallah stated at the time. "Friends of the United States in Lebanon, friends of the United States in the region. Your friend the United States and your friend Hillary Clinton said that Saudi Arabia and other countries operating in its name are those who financed the activities of ISIS in the region, helped it, strengthened it and made it easier for it,” he said.